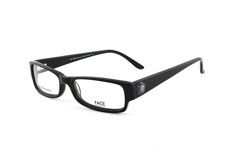 …and improve your chances of finding the perfect pair of glasses! Probieren Sie die Brille virtuell auf Ihrem Gesicht. The fact that the Swedes not only understand music and furniture, but also fashion, has been repeatedly proven by the cool northern Europeans. In the fashion capitals of Stockholm and Gothenburg the latest trends are set and successfully taken out to the rest of the world. And the Swedish cult label - FACE Stockholm – now not only provides better vision in Scandinavia, but also in Germany. The brand embodies the ideal of Swedish beauty par excellence and stands for absolute naturalness, paired with a dose of trendiness and a colourful character. The label’s glasses inspire with their stylistically confident and clear design, which brings shape and colour together harmoniously. However, the Swedish label’s success story does not begin in Stockholm in 1982 with glasses, but with make-up. Gun Nowak, founder of the label, had already made a name for herself on the fashion scene in the 1970s and 80s and had become a real trendsetter with three trendy Stockholm fashion boutiques. Because Nowak could not find the make-up to match her fashion, she simply created her own beauty line. As well as including cosmetics and skin care products, an eyewear collection is also now available. Gun Nowak now works hand in hand with her daughter Martina Arfwidson who shares her mother’s passion for colour and design. 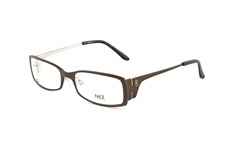 All frames are made exclusively from high-quality plastic, titanium and metal and offer first-class workmanship. This not only gives the designers numerous design possibilities, but also ensures optimum comfort. 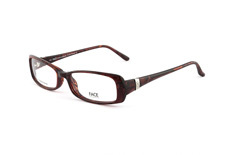 All models are ideal for everyday wear and can be combined with a wide variety of clothing styles. Whether elegant, casual, playful or expressive – every taste can find the perfect FACE Stockholm frame. Stay in the know with updates on the latest trends and deals. Subscribe today and get 5% off your first order! Pay via encrypted connection using your favourite payment methods. Delivered by DHL and UK Mail. Exclusive events, the latest eyewear trends, and tailored-made tips.